I have a Dell Precision T7500. 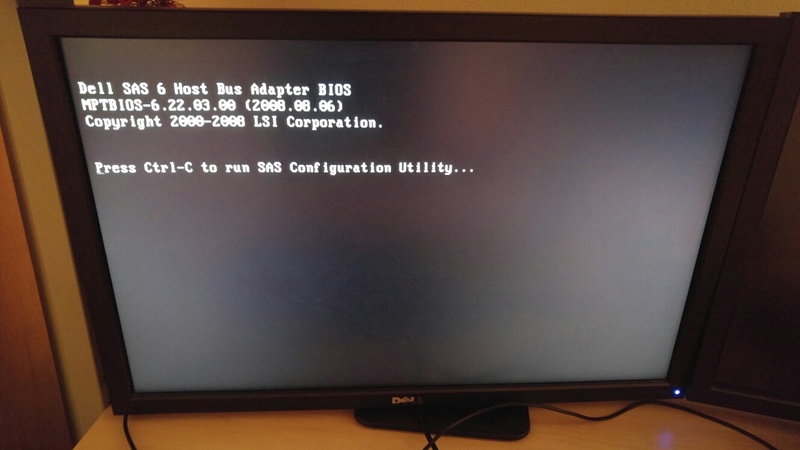 In BIOS I have turned off the SAS controller, which means that I can't use two HD's and the DVD drive, which I am fine with. I have an Adata SU800 SSD in it, which I assume is connected to a SATA connector. 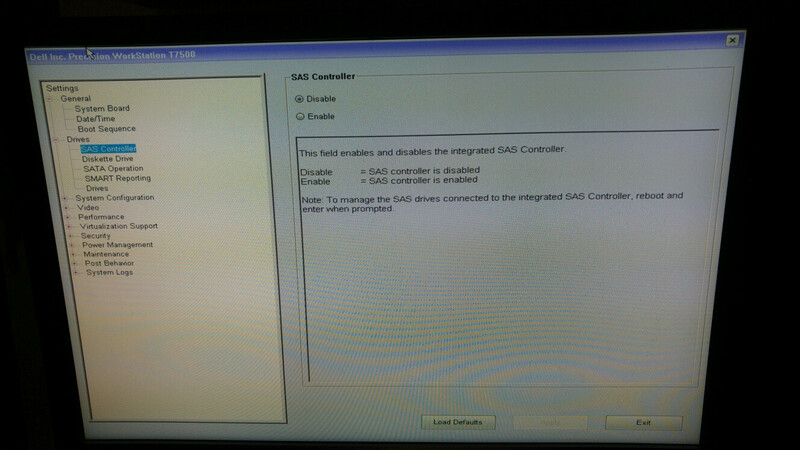 Can I somehow disconnect the SAS controller physically? I'm asking as it takes 30 seconds of black screen time before the Dell screen appears when I hit the power switch. I think it might be faster if I unplug the SAS, but can' work out which part it is and am scared of breaking something. The following screenshot shows what happens when I enable the SAS controller. It takes about 30 seconds to initialize, during which it detects 2 SAS hard drives and 1 DVD drive. 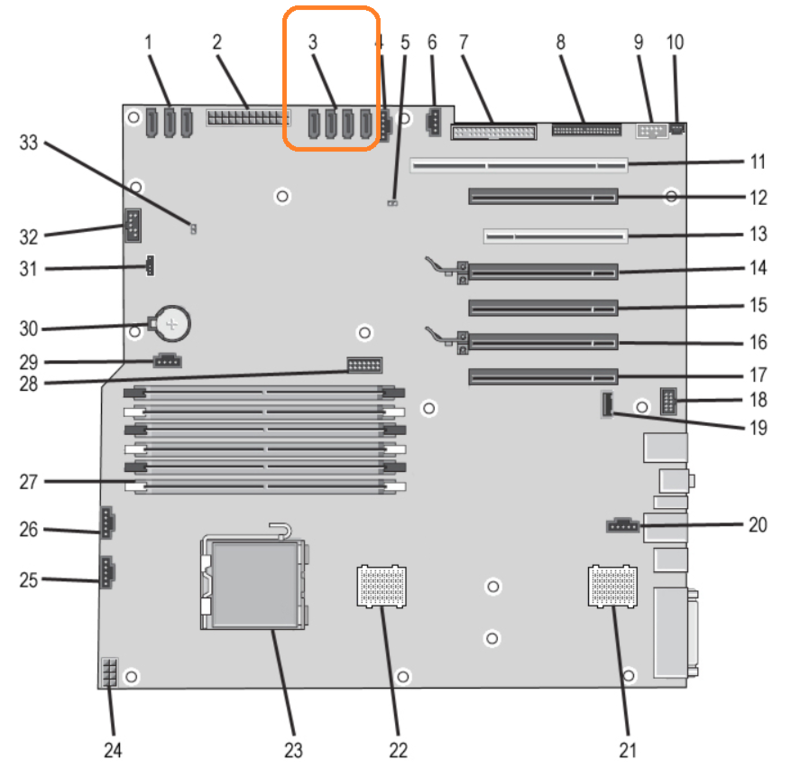 According to the T7500 manual, page your SAS connectors are directly on the motherboard. They are not from an add in card. It using an on-motherboard LSI 1068e chip. So no, there is no way to completely remove the SAS part. At least no without changing the motherboard. You could connect a drive to a SAS port though. That will prevent it from timing out while waiting for drives to become available. I am confused by the "In BIOD I have turned off the SAS controller" part though. Exactly what did you turn off? Because it is most certainly not turned off while you are waiting for it. For me iot feels as if you went into the BIOS and disabled some 'be able to boot from option' (but still power up and scan all devices... and time out if you do not find any)... Can you add a screenshot or a precise option off what you changed. Not the answer you're looking for? Browse other questions tagged ssd raid sata dell-precision sas or ask your own question. Windows 10 Couldn't boot, replaced HDD, only recognized in bios using SATA0 or SATA1?